Consider the Chesapeake Bay Oyster Sometimes called Chesapeake white gold, the Chesapeake oyster has a flavor and texture that begs connoisseurs to come back and shuck just a few more. Kendra Bailey Morris explores the debate over how best to enjoy them and shares a few options. Whether fried and dipped in tartar sauce or straight out of the shell, oysters deliver a much-beloved burst of flavor, ranging from sweet to briny. 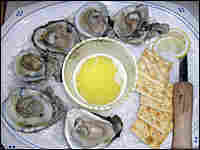 Recipes for Jan and Cal Boyd's oven-roasted oysters and cracker-meal fried oyster sandwiches. During the Depression, oysters were so plentiful in the Chesapeake Bay area that people ate them three to four times a week. Oysters should smell fresh like the sea and have tightly closed, unbroken shells. Discard any oysters that have open, gaping shells, or do not close tightly when lightly tapped. Shucked oysters, packed in their own oyster liquor, should be clear or pearlescent and not cloudy. Store live oysters in the coldest part of the refrigerator on a sheet pan or in a bowl covered with a damp cloth up to one day. Never store live oysters in an air-tight container, because that will kill them and make them spoil. 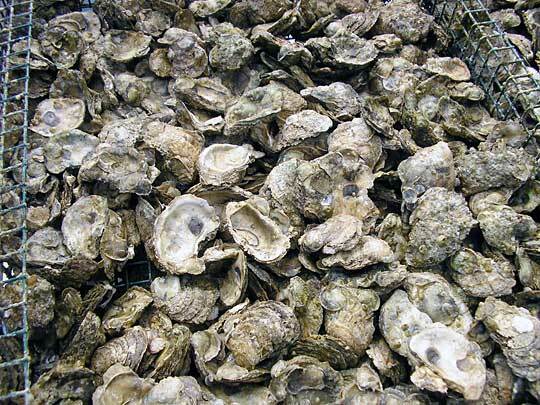 Eating raw or undercooked oysters — as with any raw seafood or meat — carries risks. Make sure to ask where the oysters are from and how fresh they are. Shucking raw oysters is not as tough as you might think. You'll need a stiff-bristled brush for scrubbing, a clean bar towel (or heavy duty rubber glove) and an oyster knife. After scrubbing the oyster well with plain water, hold the oyster in a bar towel or heavy glove over a bowl with the flatter side of the oyster facing up. Using the oyster knife, insert the tip of the blade into the seam near the hinge of the oyster and twist, prying the two halves apart until you hear a "pop" as the oyster releases. Carefully detach the oyster from the top shell and discard the top part of the shell. Serve raw oysters in their bottom shells on a bed of ice, with quartered lemons, hot sauce and cocktail sauce. The afternoon sun barely peeks out from behind rows of hand-built piers that line the shore of Cockrell's Creek in Reedville, Va., on the Chesapeake Bay. There, brackish creek waters gently slap against barnacle-encrusted fishing boats gently rising and falling with the tide. It's oyster season, and Wendell Haynie, an 11th-generation Virginia waterman, recalls a time when Chesapeake Bay oysters were so plentiful that folks would eat them three to four times a week. "This was during the Depression," he says as he leans back to orate, "and times were tight, but oysters were still a big thing. We used to catch a hundred bushels before lunchtime." Haynie's mother, Fanny, would crush soda crackers with a rolling pin, then bread the oysters in a combination of crackers and egg wash and finally fry them in hot fat. Other than fried, he says, the only way to eat them was raw, "straight outta the shell." Whether you choose to enjoy these briny creatures roasted with butter, floating atop a creamy bisque or straight up with a dash of Texas Pete, there's no doubt that in today's culinary world, oysters are still quite a "big thing." Oysters can live up to 20 years and, except during their free-swimming larval stage, spend the majority of their time attached to rocks, shells or piers. Like many invertebrates, oysters are hermaphroditic, and will change gender at least once during their lifetime, often starting as male and ending as female. The Chesapeake oyster — sometimes called Chesapeake white gold — has a flavor and texture that begs connoisseurs to come back and shuck just a few more. Salty and succulent, these oysters embody the word "delicacy." Gently unhinging one of these live creatures with an oyster knife reveals a larger-than-usual, juicy, gray body resting in a pool of precious liquor. From here, it takes only a flick of the knife to loosen it from its shell. 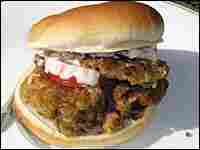 Then, down the throat it goes with such indescribable bliss that food writer M.F.K. Fisher, in Consider the Oyster, grappled with its ambiguity. "An oyster," she wrote, "will taste like what the taster expects, which of course depends entirely on the taster." The debate on how to best enjoy the oyster goes on. Southern purists prefer breading their oysters in cornmeal and then dipping them in lemon-spiked tartar sauce, while the more creative opt for Japanese panko crumbs and piquant aioli. Champagne mignonette sauce and granita regularly grace oysters on the half shell, while seafood classics still live on in herbed oyster stuffings and creamy, bread-crumb topped oyster casseroles. Whatever your oyster preference, one truth remains: Those of us who revere the oyster will do almost anything to get our hands on one, and when we do, we know just how we want it. Back at Cockrell's Creek, I find myself standing among a pack of multigenerational watermen, who cherish their locally raised oysters in much the same way a sommelier treasures a rare Bordeaux. So I ask, "What's the best way to cook an oyster?" Within seconds, shouts and playful arguments erupt: "Steamed with butter." "Roasted." "No, you always eat 'em fried in cracker meal." "What do you mean, butter? Who needs butter? You eat 'em straight up." I have started a dispute that will, most likely, last long after the sun sets. That's the beauty of these oysters. Much in the same way North Carolinians debate vinegar versus tomato when it comes to barbecue, local oyster purists aren't afraid to offer you their uncensored take on the best way to cook these briny bivalve delights. So, the next time you're pondering what to make for dinner, take a moment to consider the Chesapeake Bay oyster. It's a whole lot easier to shuck oysters standing up than sitting down, and that's the way most folks do it. Jan and Cal Boyd, who coordinate the Reedville Fishermen's Museum Oyster Gardening Workshop in Reedville, Va., like to serve their oven-roasted oysters as a first course right on their kitchen island, with everyone standing while eating. After guests have their fill, they adjourn to the dining room to be seated for dinner. 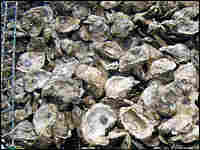 Wash mud or dirt off oysters. Place oysters in a shallow baking pan or sided cookie sheet, with the flatter side down, in order to keep the oysters as horizontal as possible and the oyster liquor (or liquid) in the shell. Roast uncovered in the middle rack for about 8 minutes, or until the shells begin to pop open and the oyster liquor bubbles. Open shells with an oyster knife, being careful not to lose any of the liquor. Discard top half of shell. Nestle oysters — still in their shell — on a platter coated with rock salt (this helps to keep the oyster liquor from spilling out.) Note: You can also provide oyster knives for your guests to shuck their own. 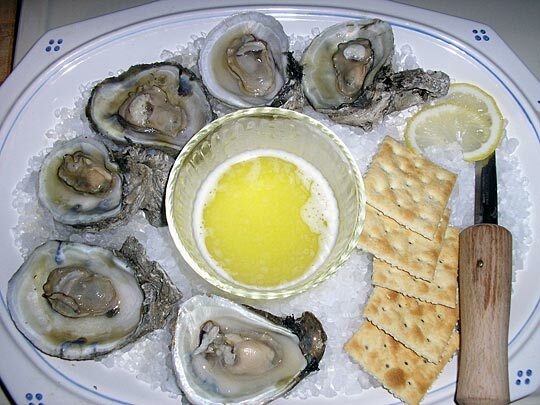 Dip your oysters in melted butter, and enjoy with salty crackers and hot sauce. Residents of Virginia's Northern Neck prefer crushed cracker crumbs to the typical Southern cornmeal breading for oysters. The combination of crushed, salty crackers and egg wash create slightly denser fried oysters that are perfect for stuffing in a toasty bun. Crush crackers in a food processor and pulse until fine. Mix together cracker crumbs, flour, salt and pepper in a medium-size shallow bowl. In another small bowl, beat eggs. Heat Crisco and peanut oil in fry pan. Insert a thermometer. When the temperature reaches 370 degrees, you are ready to fry. Drain oysters. 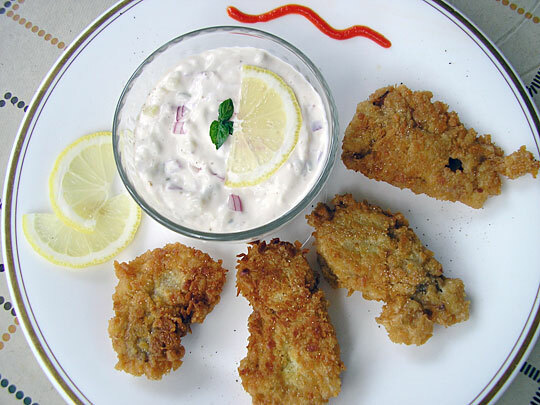 Roll oysters in cracker-crumb mixture, then dip in egg mixture and roll again in cracker crumbs. Fry oysters (be careful not to crowd them) in hot oil until both sides are golden brown. Drain on a rack set over paper towels and lightly salt, if desired. Lightly toast hamburger buns. 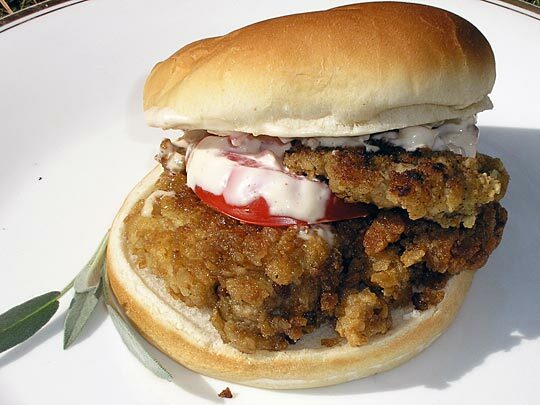 Mound oysters on bottom half of bun and top with sliced tomato and shredded lettuce. Serve with tartar sauce and hot sauce. Mix all ingredients well. Cover and chill.